i Click 'view all' to instantly compare this fantastic deal with offers on other top all in one desktop computers. 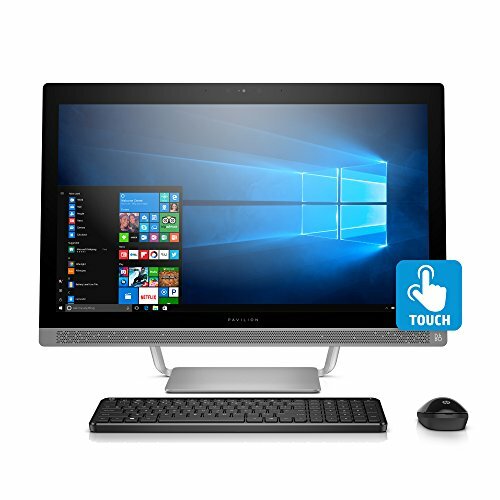 HP Pavilion 27 Inch All-in-One Computer Intel i5-7400T 12GB RAM 1TB is currently selling at $999.99, approximately $674.60 lower than average, giving a potential saving of $1999.12 right now. With a lowest price of $999.99 and an average of $1674.59 it is selling on the low end of its usual range. Price volatility is 0.89% (meaning it does not change often), so the price should stay low for a while. Right now this product is a recommended 'fantastic deal'. The current deal is also the best price on this item over the last month. 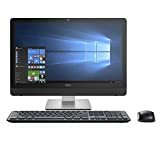 Compare the current price, savings (in dollars & percent) and Buy Ratings for the top All In One Desktop Computers that are closely related to HP Pavilion 27 Inch All-in-One Computer Intel i5-7400T 12GB RAM 1TB. Here is how HP Pavilion 27 Inch All-in-One Computer Intel i5-7400T 12GB RAM 1TB compares with other leading All In One Desktop Computers. Gather around and experience the power of your family's new centerpiece. The HP Pavilion All-In-One brings style and security to the center of your home. 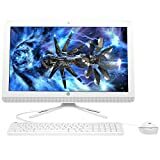 FeaturesWhy buy: A family-friendly All-In-One with the power you need to go from media streaming to homework conquering.Processor: 7th generation Intel(R) Core(TM) i5-7400T Processor, Quad-Core, 2.40GHz; Get powerful multitasking performance and 4K video capabilities.Display: 27-inch diagonal widescreen Full HD (1920x1080) IPS touchscreen; Control your entertainment from the screen and get 178-degree wide-viewing angles.Memory: 12 GB DDR4-2133 SDRAM; Designed to run more efficiently and more reliably at faster speeds.